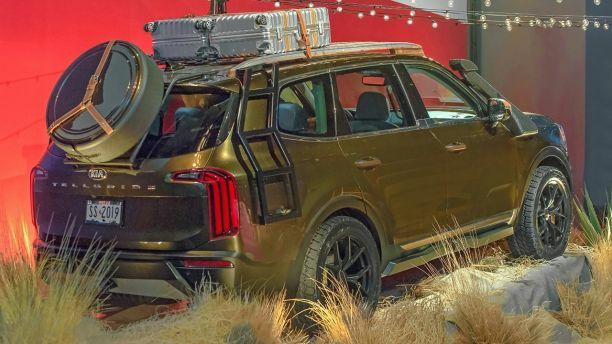 Kia used the New York Fashion Show runway to preview the 2020 Kia Telluride three-row crossover utility vehicle. Remember last year when Kia brought out the 2018 Stinger to the same fashion show? That car’s striking design fitted the uniquely fashionable NY show but this time, the South Korean automaker is going one step further with a global debut. The Telluride made its first appearance in New York, months ahead of its debut in Detroit next January. 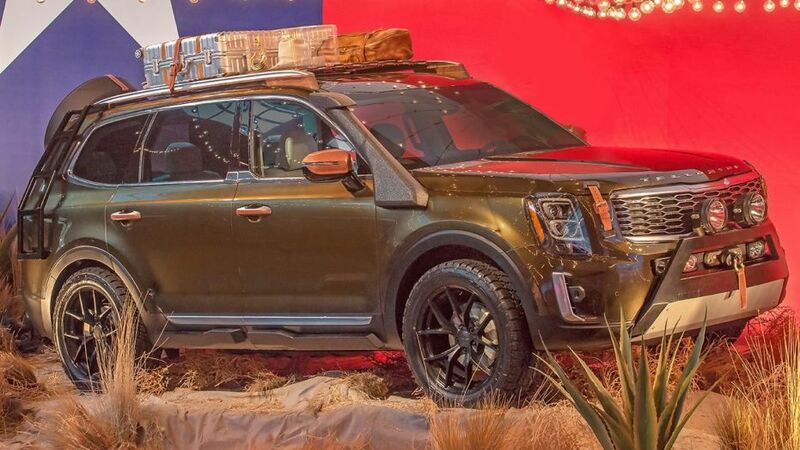 For the Fashion Week, the Telluride was dressed up a bit and wore an off-road gear to give it that adventure-seeking vibe. Beneath all that “camouflage” is the final design of Kia’s upcoming three-row crossover. We’re happy to know that most of the elements survived since we first saw the concept back at the 2016 Detroit Auto Show. We have seen the recessed square headlights with four LED projectors on the concept. We won’t get this design on the production version but the boxy front end shape was carried over to give the crossover a rugged look. Some other changes include the grille that was widened significantly and the tiger nose design theme that has been relegated to a subtle notch on the top of the frame. At the back, there is a pair of unique vertical taillights, which are now wider and curve onto the hatch. The rear lights outline the lower edges of the liftgate. According to Kia, the Telluride will be built at its US plant in West Point, Georgia. The crossover can accommodate up to eight passengers, thanks to its three-row layout. It will be powered by a V-6 engine, but we’re still not sure if that is the only engine option. 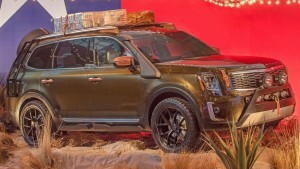 The machine puts the Telluride above the Sorento, which offers flavors from a four-cylinder engine to seven-cylinder machine.